The Brain, The Great Magician and now for the most recent, Goddess Fashion! 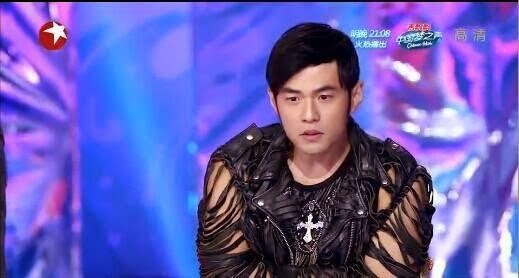 It appears that Jay Chou is very much in demand as a celebrity guest on various reality shows....and understandably so. 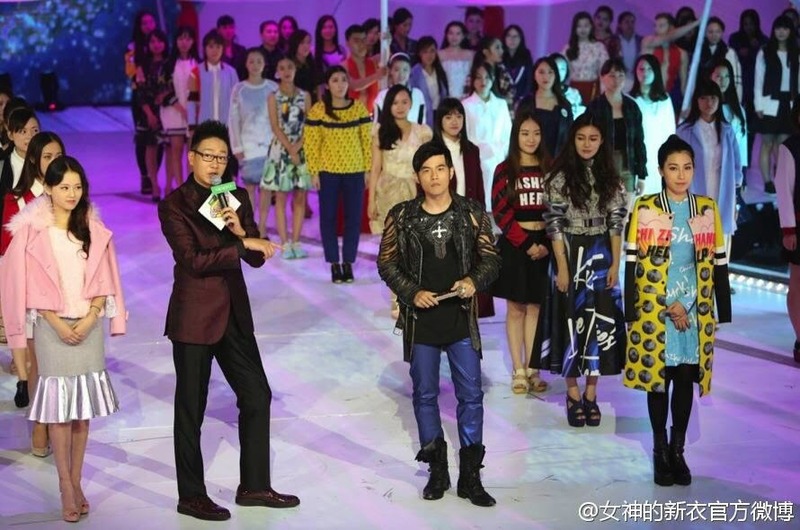 After all, what better way to boost a show's ratings than to invite the King of Mandopop to grace the event? Note, however, that none of the above are related to singing or music. 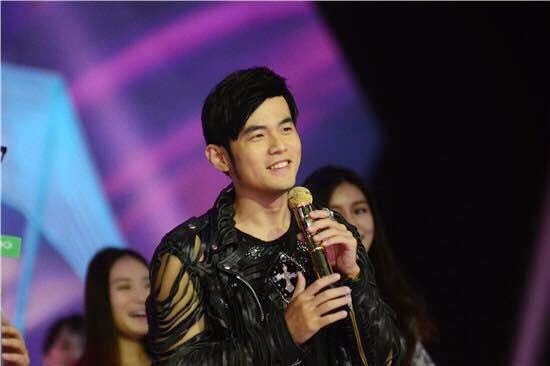 He has also invariably been asked to be a judge on talent shows involving singing but has always declined, saying that he does not feel comfortable criticising other people's performances. I find that to be a clear indication of his humility towards his own achievements and that makes me love him even more. Anyway, his presence on Goddess Fashion, which seems to be a sort of bidding war for new designers and their creations, was certainly entertaining as he came across looking confident yet witty. There is no doubt that he has improved by leaps and bounds in being comfortable talking more on stage, no doubt helped by his stint on Mr J Channel. Which was his main aim in doing that short-lived programme anyway. Jay performed at two consecutive all-stars concerts after his Mission Hills outing. He felt like it was his solo concert, having his own musicians and dancers, not to mention singing many songs. 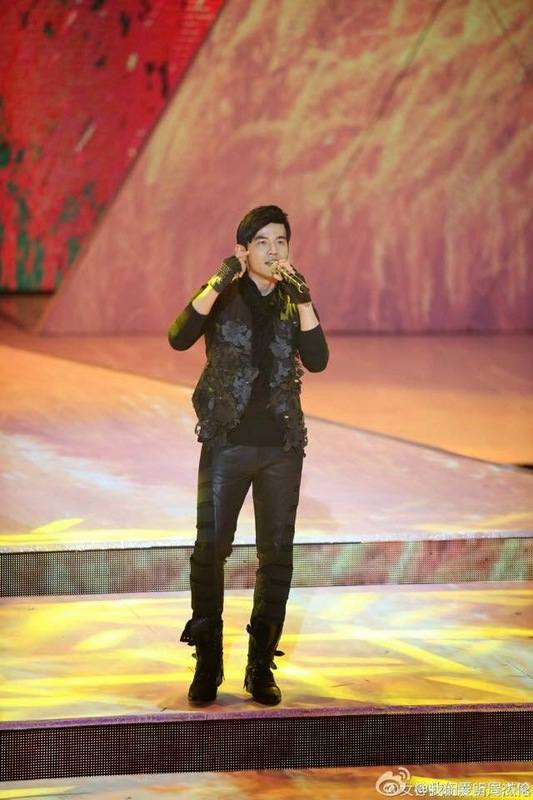 However, he had to rehearse more than usual this time as there were songs which he had not sung in a while, eg The Era. He was also rather apprehensive about the elevated platform, which went higher than what he had been used to in his other concerts. 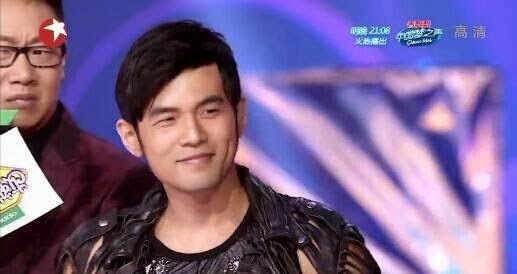 He joked that he would ask Xiao Mai to take his place on it as even if he (Xiao Mai) fell, he (Jay) could go on singing.,...lol! 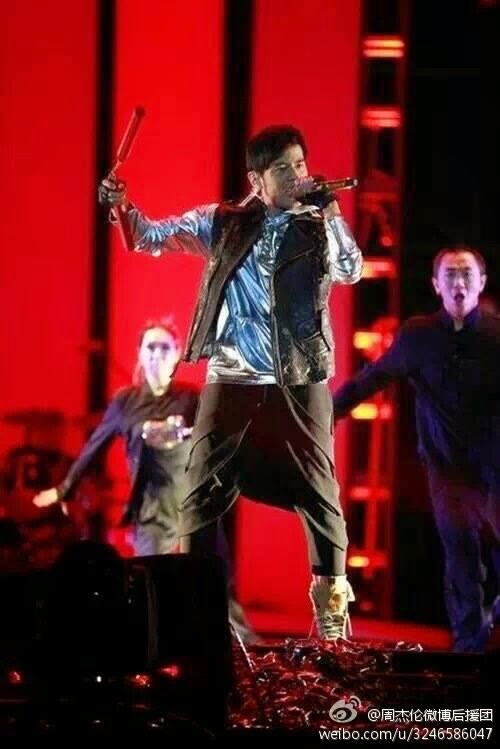 A safety belt was also provided but Jay felt it just did not suit the performance and he decided that he would do his best not to move or sway on the platform. NB: He was indeed standing quite still while singing! I do not have vids for the second concert yet. 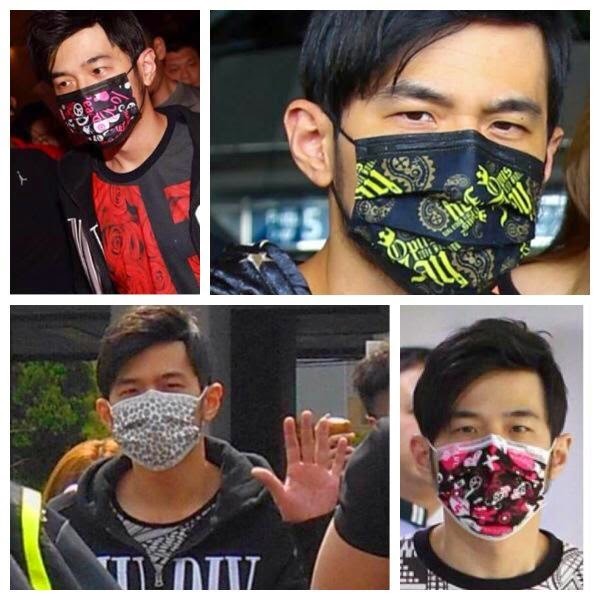 I shall end this post with a mention about Jay's penchant for wearing masks and how far ahead he is on style trends, as it appears that designers are now turning to masks as a fashion statement...lol! And if not those, he would wear something equally fancy.